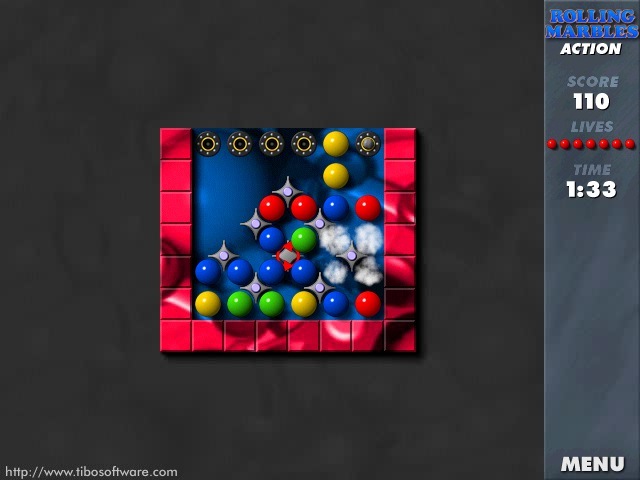 Rolling Marbles is the action/logic game of immense style from Tibo Software. In each level, you rotate a series of marbles to form groups of four or six of the same color. Such groups will burst, creating more room on the game board. 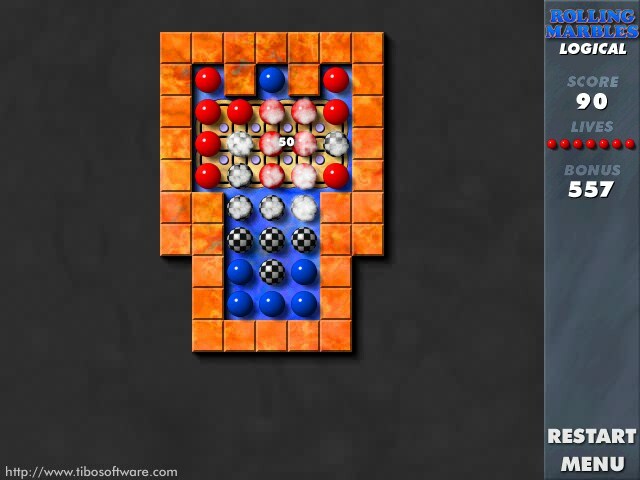 It sounds a little like Tetris, but Rolling Marbles has much more varied game play and is much more of a mental test. Play against the clock or against an opponent. This shareware version, while limited to 10 of the full game's 75 levels, will give you a taste of both the action and the stunning graphics of the game. Puzzle lovers will find Rolling Marbles a real treat, as will anyone who enjoys a well-crafted game. Download Rolling Marbles now. receive the full version in minutes! 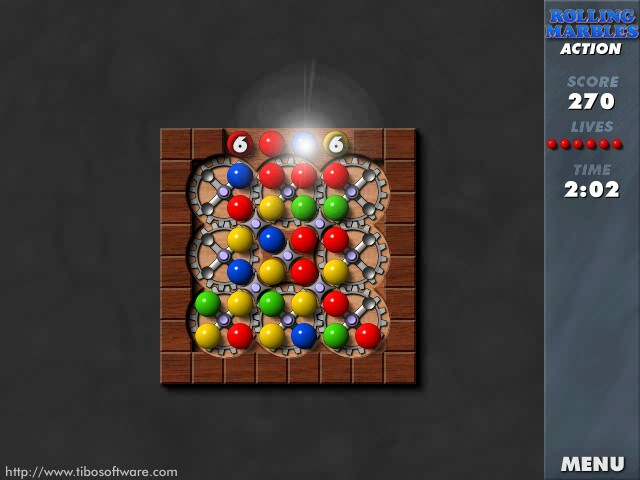 Click here for the Mac version of Rolling Marbles. 4 stars at TUKIDS: "...And, yes, this game is very addictive!"